In this video I talk about why we added the new flashlight mechanics and how the new lighting system works for Devastated Dreams. ok gloves off! I can't believe what I am seeing in this video. i am soooo shocked and appalled right now. I can't even put it into words. I actually am on the fence with the implementation of the flashlight. I do like the general effect, though I think the ambient backsplash you created is a little too uniform and "fake". I see why you did it, and I'll accept it is what it is, but it feels overblown and i hate to say it there is this vague phallic shape to it that makes using it feel subtley creepy.. not sure you intended that. but that aside.. yeah.. when you turned off the shadows and showed off the actual full screen background/foreground design.. WOW. that is some kool stuff. I dare say there are so many little elements and details that will likely get completely missed because of the dark saturation. Is there a chance some of the different areas we explore will take place at different parts of the day? like midnight vs dusk vs midday during a thunderstorm? Actually speaking of that.. will we get to see a storm in this too? But even the midtone setting was atmospheric but made it easier to see the density of the woods and how nice that 3d effect is. I originally griped about the lack of depth, but now i see why. That little beam doesn't do justice to what is hidden in the shadows. Please tell me the lil shadow goblins (thats what i am calling the weird stuff moving in the darkness) will sometimes reveal something scarey. I would love to spend half the game terrified of that movement and whipping the lantern towards it out of reflex but not always wanting to see what it is (like a enemy that only attacks if it has been seen, but won't if never illuminated). That'd always make those goblins freak you out. this was a very interesting video and i am glad you took the time to do it. i would like to see the lighting/lantern effect adjusted a bit more, but i may be the only one really itchy about it. In a way it seems like for the lighting you are doing it would make more sense to use a railroad lantern with a focus lens on one side so there is a degree of localized light (the round splash that illuminates her) and a shaft effect in front of her. hanging it in her hand would also look more natural than how she holds the lantern currently. 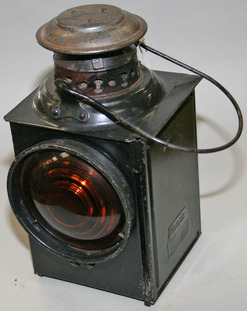 Or even a hurricane lantern with a fixed lense to one side to focus some of the light into the beam. This pic is not ideal, but it gives the general idea. thered's a number of revisions to it and people use hirricane lanterns all over the world, so I would be surprised if they aren't used in the Philippines. But.. not sure myself. We will definitely be playing around with lighting settings in different levels, so hopefully you'll get to see all of our little details. Thank you for your feedback! I'm pretty happy with the flashlight beam (and spent a lot of work on that shape), but it isn't set in stone, so we'll see what people think moving forward. Yeah very cool to see all that! I saw the moving things in the demo, and I was convinced for a while that they were rats. That is such a great idea and well implemented, I'm sure people will be coming up with all kinds of their own ideas of what they are. and it was about getting those shadow blobs to work right, but I didn't want to give specifics at the time. I"m glad I didn't give up!